Stone Furniture Repair - What Is Fill? High end Italian stone furniture is made to last a lifetime and can easily be repaired. Chips in stone coutner tops can be repaired too. You can call a stone repair company in your area, or order the materials you need online and do it yourself. See Tool City. Also see travertine repair. The type of stone determines the type of fill used. All stone has fill - even new from the factory. Stone counter tops are repaired often too. You can't see the repairs. Also see Food Safe Fiberglass Resign. 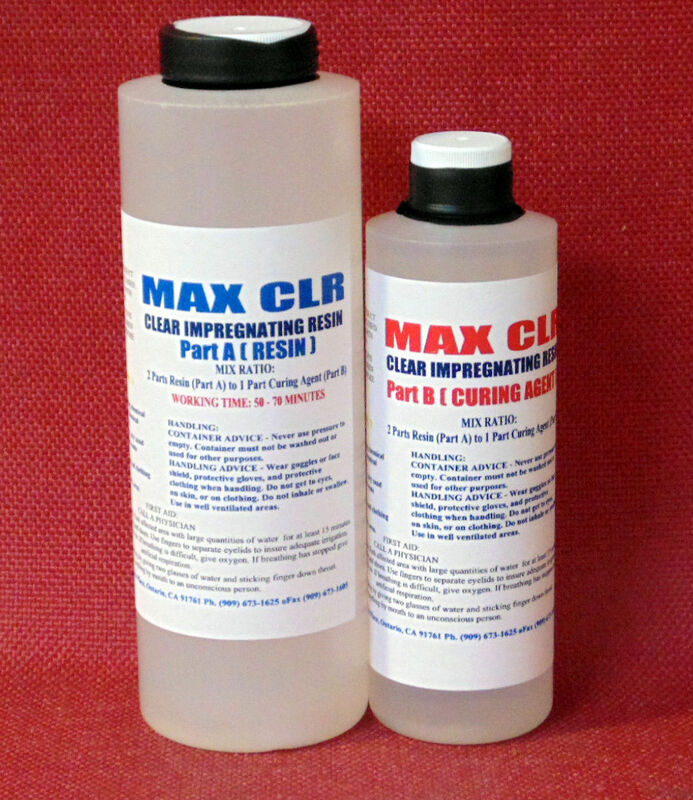 Food safe clear fiberglass resign is used to reapir nicks and cracks in stone furniture. HOW TO REPAIR AND PROTECT LEATHER? USE Lexol leather cleaner and conditionar avaialbe at Amazon. Your leather can last a few years, or it can last a lifetime. a cow. Just like your own skin - it needs cleaner and conditioner. 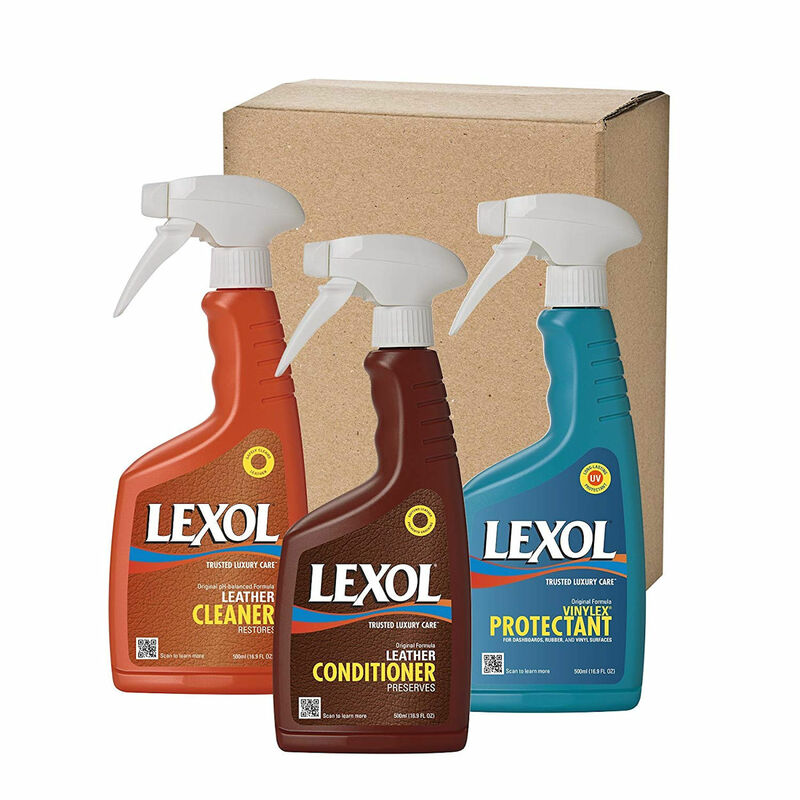 For new leather - the Lexol cleaner is the only thing you needs. for older leather sofa, sectionals, and chairs. New leather does not need conditioner. 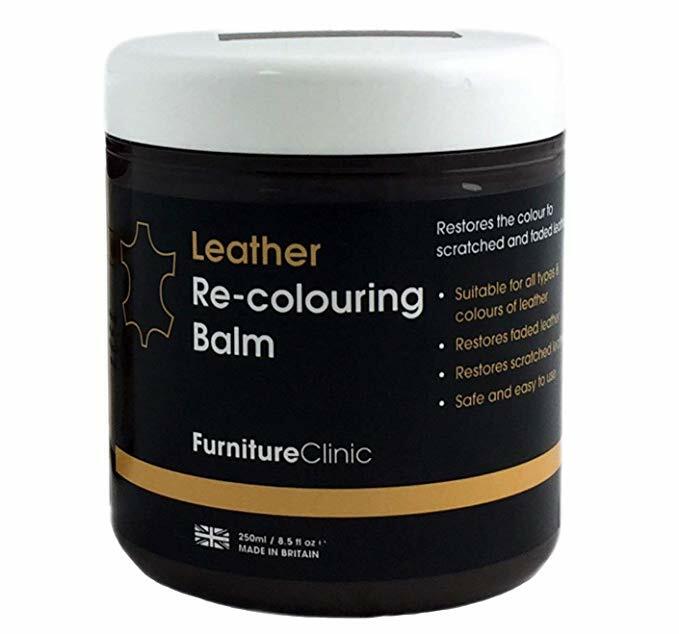 The best solution to restore color in leather is Leather Cecoloring Balm by Furniture Clinic - avaiable on Amazon. 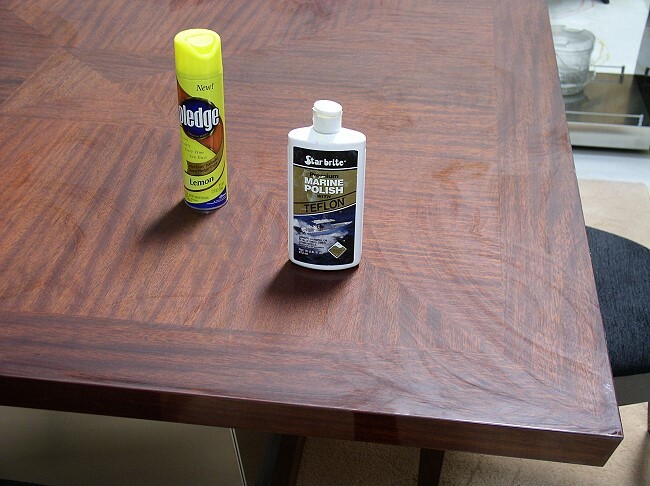 Wood Furniture Repair - What Is Finish? Quality wood furniture can be repaired and enjoyed for generations to come. We are going to show you how. The finish is the coating on top of the wood or metal. Real polished stone has no finish. The finish is the final layer - the part that you feel and touch, and often the part that makes the shine. The finish protects wood (or metal) and gives the surface rich color or shine. For example, the San Remo Italian dining table (above) has a high gloss polyurethane finish. 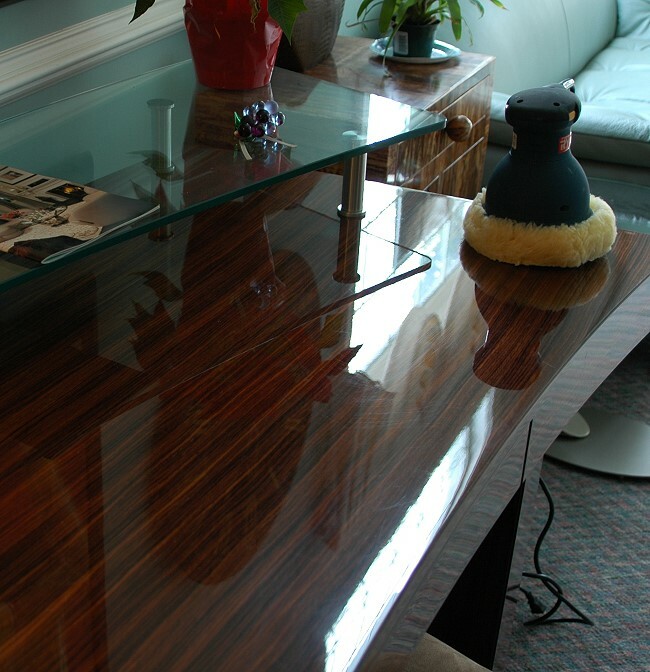 Of all the finishes, high gloss is the most appealing, the most likely to show scratches, and the easiest to repair. Believe it or not, you can repair this high gloss finish (above) in minutes using no tools in your home with products purchased at Wall-Mart. We are going to show you how. The San Remo square dining table (photo above) is covered with Teflon Marine wax. This shows you what the wood looks like with no finish. The factory DOES NOT recommend that you use furniture polish on this collection. We wanted to know why. 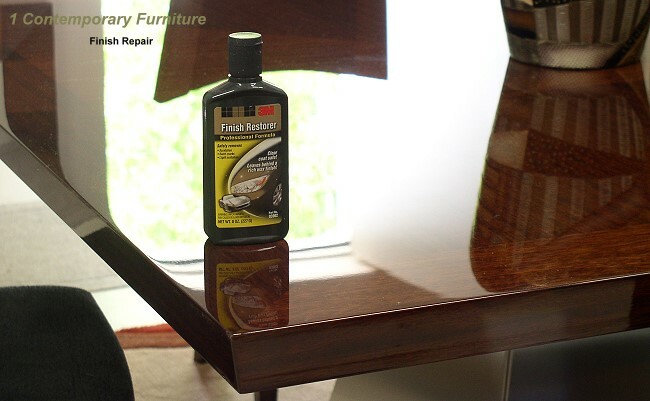 We tested furniture polish on the San Remo dining table (above) and found that the first application worked great, but the second caused a build up of grit and polish that is impossible to remove. We are testing the Teflon Marine wax (photo above) as a long-term protection solution. We have used this wax on cars and yachts for years and never experienced any discolor or build up. Star Brit teflon wax can be purchased at Wall-Mart. Test all wax and cleaners before you apply. Many cleaners will damage your furniture. Repairing small scratches in high gloss finish is easy if you have some basic skill. And there are many ways to go about it. The Toscana contemporary Italian desk above has a high gloss furniture grade polyurethane finish. To remove scratches, we purchased a mild Mirror Glaze finish restorer from Wall-Mart called Swirl Remover 2.0 (photo above). You may also find finish restorer at auto supply stores. We use a $ 50 high-speed Buffer and pad purchased from Home Depot. After applying the Swirl Remover with the buffer we wax to restore the brilliant shine. We use Teflon marine wax on high gloss furniture, yachts, and vehicles. The scratches disappear and the finish is restored to perfect condition. The Swirl Remover may also be applied by rubbing briskly with hand for small scratches. But the buffer does the best job with large areas. Notice the beautiful Italian grapes from the glass blowers of Florence, Italy. Priceless. This is a buffer (photo above) and is not to be confused with a Grinder. Grinders can be used by professionals to do the same job. 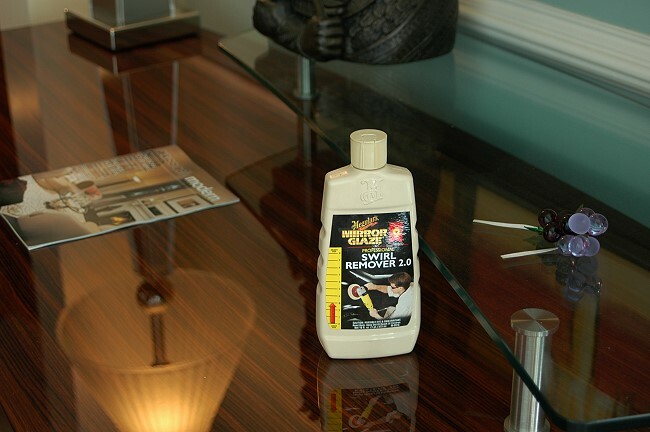 Tip of the day: Apply the finish restorer to the Buffer pad. Place the pad on the furniture BEFORE you turn on the Buffer. If not the Buffer will sling wet finish restorer all over your room! Repairing nicks in high gloss finish is more challenging than scratches. You may need a professional depending upon your level of skill. Nicks are deeper than scratches. Nicks cut through the finish all the way to the wood some times. Use an artist or at least an artist brush to apolyurethanethane to the area where the finished is damaged only. DO NOT apply polyurethane to other areas or on top of finish already applied. DO NOT apply to large areas. Only apply to a very small area where the finish is broken or removed. Wipe off any excess polyurethane immediately. Watch for runs and remove excess material. If you have no painting skill at all repairing nicks may be best left to a professional. DO NOT use rubbing compound on satin finishes. Rubbing compound is for high-gloss finishes only. Satin varnish is very easy to work with. It is very forgiving. We purchase our varnish from marine stores however, you can find varnish almost anywhere. Home Depot has it. We do not recommend sanding on a do-it-yourself level. Sanding is best left to a professional. However, you may apply varnish to damaged or nicked small area with great results. Use an artist brush and take it slow applying one coat after another. Allow at least 12 hours drying time between coats. Only apply satin varnish to small area where the finish is nicked or damaged. Do not apply over old varnish. That requires sanding by a professional. Some people have no artist, painting, or finishing skill whatsoever. If you are one of those people with zero experience, do not try to repair your furniture at home. Call an expert. Read About Us for more information. See the finest wood finish in the world made in America by Gibson Guitar. © 2000 1 Contemporary Furniture ® | all rights reserved worldwide.